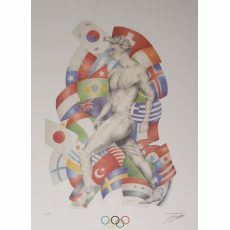 Dr. Liston (Lin) D. Bochette III, born June 16, 1957, in the state of Florida, is an American athlete and artist, and an Olympian for the Commonwealth of Puerto Rico. Bochette attended the University of Florida on a Track and Field Scholarship offered to him by Olympic Coach Jimmy Carnes and was, later, inducted into the University's Hall of Fame, as a Distinguished Letterwinner. He has also studied at Florida State University, the University of Puerto Rico, and was accepted at Stanford University. He collected a Bachelor's degree in Fine Arts from the University of Florida; a Master's degree in Humanities from Inter American University; and a Ph.D. in Education from Pacific Western University. Bochette competed internationally in the decathlon, and was the Champion for Puerto Rico. Beginning in the 1980s, he participated, in some capacity, in the Summer and Winter Olympic Games—as an advocate in Puerto Rico; as an official in 1988; and as a bobsleigh athlete for Puerto Rico in 1992, 1996, and 2000. In 2002, he was elected as Secretary General of the International Olympic Committee's Athletes Commission. In 1992, he was awarded a Gold Medal for Art at the Cultural Arts Festival, during the Barcelona Olympic Games. In addition to the International Olympic Committee Athletes Commission, Dr. Bochette served on other international sports federation bodies, including the United States President's Panel on Olympic Affairs. He is the founding President of the Puerto Rico National Olympians Association, and was elected to consecutive terms as its Secretary General. 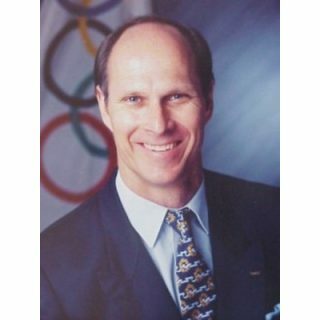 As the leader of this branch of the World Olympians Association (WOA), he led a highly successful global campaign to unite active and alumni athletes under the Olympic banner. Dr. Bochette is an executive officer of the University of Florida Track and Field Alumni Association (UFTFAA). and has also served on academic and civic boards as well as on the Board of Directors for the Art of the Olympians Al Oerter Center for Excellence.